Chilly winter season is the time for snowfall, and places like sidewalks, parking lots, and driveways become filled with snow. The asphalt is one area that snow hits very hard, making it a very complicated situation to deal with. When an asphalt surface is exposed to snow, in addition to normal wear and tear, it can break down leading to cracking, potholes, and sometimes worse. Nonetheless, not all hope is lost there are preventive maintenance measures that can make your asphalt surfaces last longer. 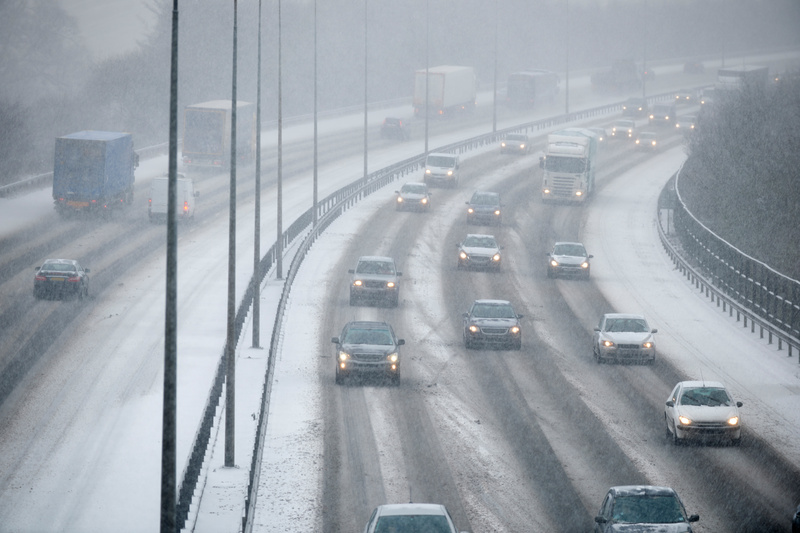 Here’s a look into some of the major winter asphalt maintenance solutions. When it comes to melting snow, deicers like road salt do a perfect job for winter asphalt maintenance. Unfortunately, when asphalt already has cracks or weakness, chemical deicers can damage it quickly. Nonetheless, if you are considering repaving your parking lot after the winter season, you can go ahead and use the road salt this winter season. Aside from beautifying your asphalt pavement, sealcoating also increases the lifespan of the pavement. You should seal coat to ensure your asphalt is protected from water penetration, ultraviolet light, and chemical attack. If you leave the asphalt untreated and never seal coated, oxidation will begin to happen, causing the asphalt to dry. Consequently, it will become brittle, resulting in the erosion of the topmost layer and the appearance of small cracks on the surface. If you seal coat according to manufacturer’s instructions, you will save a significant amount of money, as compared to if you chose to replace or repair damaged asphalt. A nice deep-black seal coat, finished with crisp marking paint, can add to the striking appearance of your property. With crack sealing, you can prevent water and other elements from percolating into cracks, where it will freeze and expand. This simple maintenance procedure can significantly extend the lifespan of your parking lot. In this process, you are required to blow out, clean, and then refill the cracks with one among the different varieties of cements, emulsions, or asphalt-variants that prevents water intrusion. While sand does not melt snow like deicers, it provides traction for vehicles. It can cause less damage to the asphalt as compared to road salt. However, if it gets into the cracks, it can be damaging. Cold patch is a temporary fix, while Hot Mix is a more permanent fix. Aside from preventative asphalt maintenance practices, you can choose to be proactive during bad weather. This means that you should regularly plough, shovel, or clear the parking lots. Regular clearing of snow will help avert the development of icy and slippery, wet asphalt. However, you should keep in mind that sometimes the snowstorm can be extremely bad that you can’t keep the ice away even with proactive asphalt maintenance. You certainly have seen a parking lot that looked perfectly fine before winter struck, only to emerge in the spring looking dull and cracked. Maintaining your parking lot all year round can help avert winter related damages. Preventative Parking Lot Maintenance, done by professionals, is the most cost-efficient solution to maximize asphalt life while minimizing risk. Therefore, if you want to make the best of your asphalt parking lot, sidewalks, among other areas, then you need to get in touch with Dykes Paving.